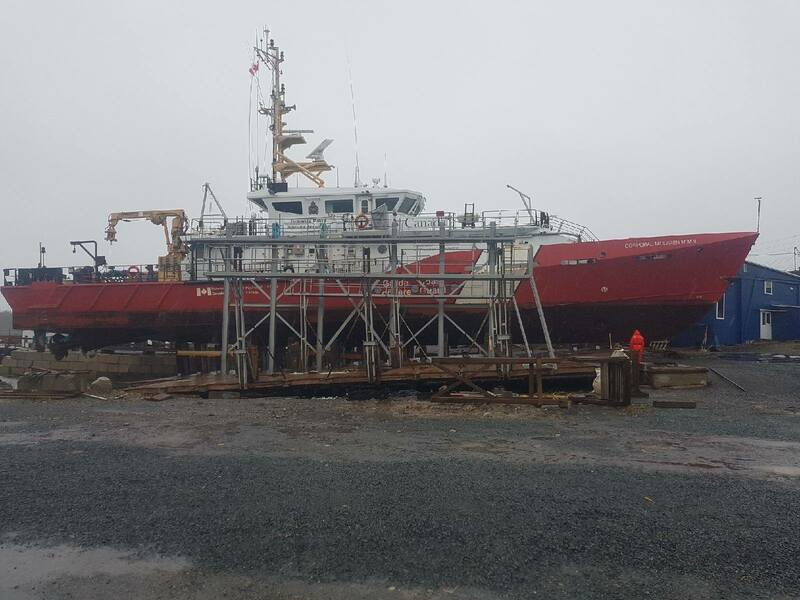 Early Saturday morning, the CCGS Corporal Mclaren was sabotaged, when 2 cables and a chain were cut at the CME Shipyard in Sambro Head. the cradle the boat was on slid back, and the MSPV came off the blocks. there was some water ingress. From statements made by CME, we know the ship was fine at the midnight check, and in the water at the subsequent check. 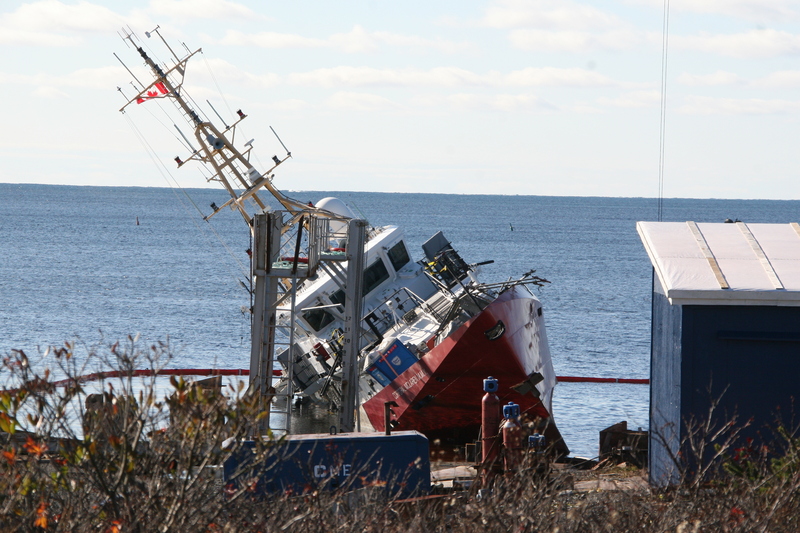 A call to Halifax fire for fuel leaking from a boat was reported at 0751 by @hrmfirewire on twitter. the yard has cameras, but no fence, so its easy to gain access, though its unclear if anything was caught on tape. 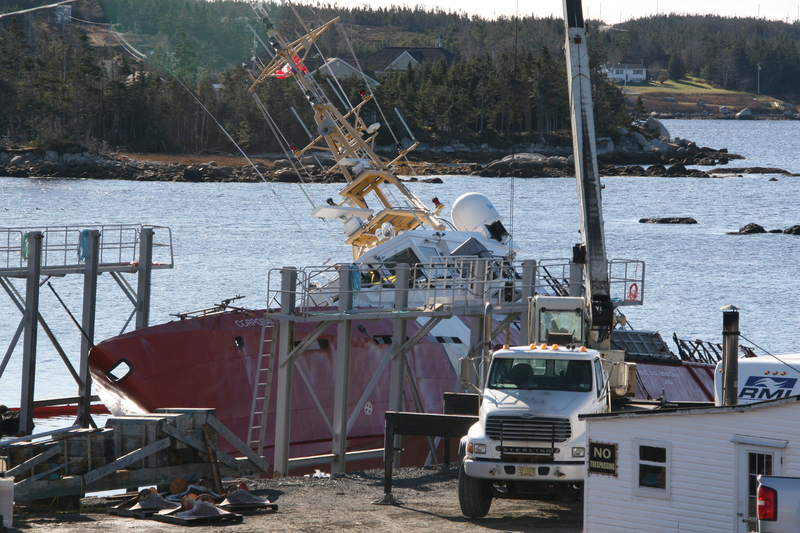 the boat was on the lift for 6 weeks of maintenance. general repair and upkeep. 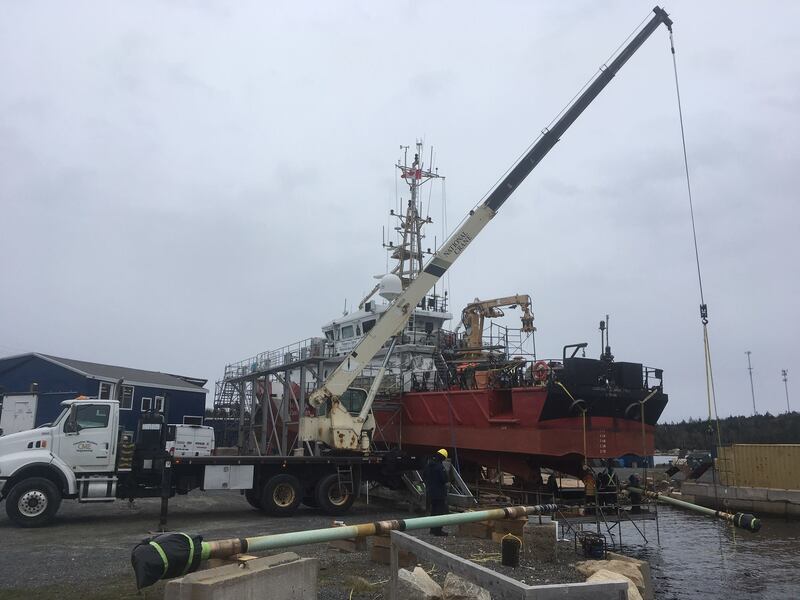 A few modifications were being made the vessel, including new electronics, rope cutters on the shafts, and additional limber holes in the engine room bilge. CME Posted these photos to their facebook page of the work period. 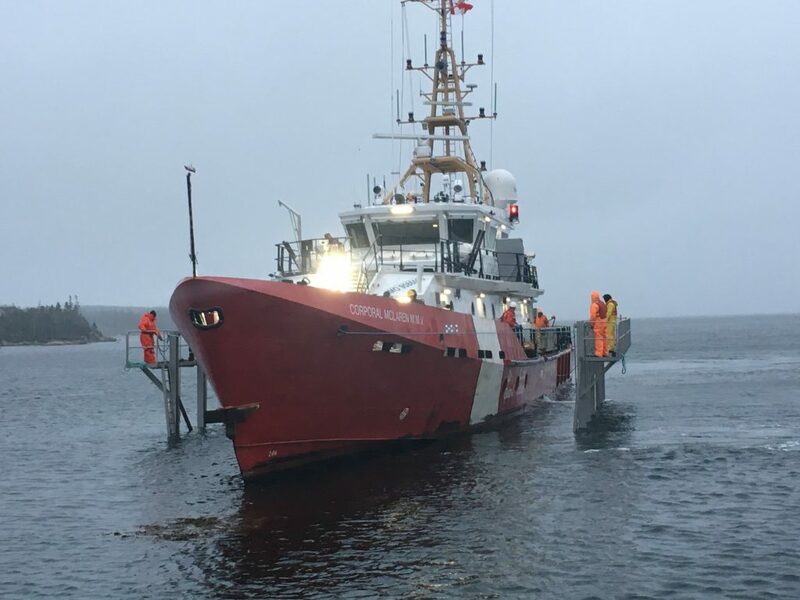 This entry was posted in CCGS, Coast Guard, Hero Class, opps on November 19, 2018 by Peter.